A slew of films set in small towns and tackling real issues may be scoring big at the box office, but actor-filmmaker Farhan Akhtar says escapist cinema is still not dead. This year, Salman Khan and Shah Rukh both saw their much ambitious projects "Tubelight" and "Jab Harry Met Sejal", respectively, getting poor response from the audience, while films with more real setting like 'Bareilly Ki Barfi', 'Toilet: Ek Prem Katha' and 'Shubh Mangal Saavdhan', became successful at the box office. 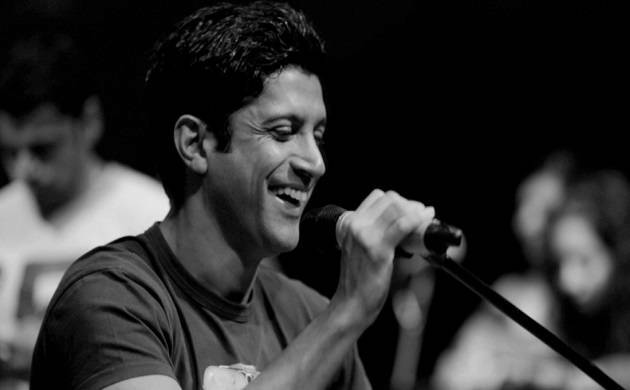 In an interview with PTI, Farhan says, "It has been a very different kind of a year (for Bollywood). The films that have performed well and even appreciated seem to be talking about our issues, dwelling less in fantasies and more in reality." "I feel it is a very good thing that those films have worked but I don't think that it is the death of escapist cinema at all." The actor says the shift suggests that the audience want their "time and money should be respected". "I feel these are phases which happen. Even within escapist cinema, if you find a good story to tell, it will do well. What is working right now, most importantly, is that there is a hunger to go to the theatre be entertained, but also be engaged in a way that is not frivolous." "People want a certain amount of respect when they watch a film, it should be worth of their time." Farhan's next, "Lucknow Central", is set against the backdrop of a jail and features him as a prisoner who forms a music band along with other inmates. The 43-year-old actor says he has played raw characters in films like 'Bhaag Milkha Bhaag' and 'Wazir', but audience and filmmakers identify more with his 'urban roles'. "Everything I do is gauged under the shadow of 'Dil Chahta Hai'. Even 'Zindagi Na Milegi Dobara' and 'Rock On' which are very urban films. "So I am always seen through that lens. Films like 'Bhaag Milkha Bhaag' or even 'Wazir' had me playing non-urban characters. So I have played small town characters but I think the urban ones have been etched in mind more." Directed by debutante Ranjit Tiwari, 'Lucknow Central' is inspired by the true story of convicts sentenced to life imprisonment in the Lucknow Central Jail, who start a music band. "When I heard the story, I was amazed by it. The fact that these guys go out and perform, have a proper booking counter now, blew me away. They leave the jail, go out and perform and come back. It is amazing." Farhan says he watched a documentary made on the inmates to understand their life and also watched them play live. "Lucknow Central" releases on September 15.